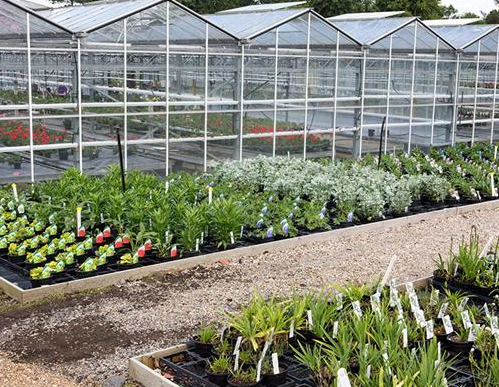 Young plant growers and nurseries will have to pay business rates on their buildings and glasshouses, an HMRC representative has confirmed. With a new ratings list due to take effect from 1 April 2017, a change in approach by the Valuations Office Agency (VOA) to rating horticultural businesses that grow their crops mainly in buildings or glasshouses, but do not bring these crops on to their final maturity, is on its way. A 2015 Court of Appeal verdict against a mushroom grower decided that those with "nursery grounds" whose plants leave the premises before they are mature and there is little connected use of open land in the growing cycle have to pay business rates. But the NFU said the VOA's "extreme approach" is "contradictory to current guidance". On who will be billed, HMRC said: "It depends on whether we know about them or not. The Court of Appeal decided nursery grounds/buildings aren't exempt, so when we become aware we will bring in the relevant rate, as we're updating lists all the while. Bedding, as far as I understand, is included. It's nursery grounds in buildings so that sounds like them. If anyone has any doubts see www.voa.gov.uk to check rateable value and liability by postcode." Bills could be backdated to 1 April 2015, added HMRC, but it does not know how much could be raised or how many growers could be involved. NFU acting chief horticulture adviser Chris Hartfield said the NFU is working to ensure that the charge does not come in, adding that it seeks to prevent "anything that puts a financial burden on our growers that there wasn't previously".